According to one estimate, there are over 700 species of bees in India, of which around 300 are endemic. 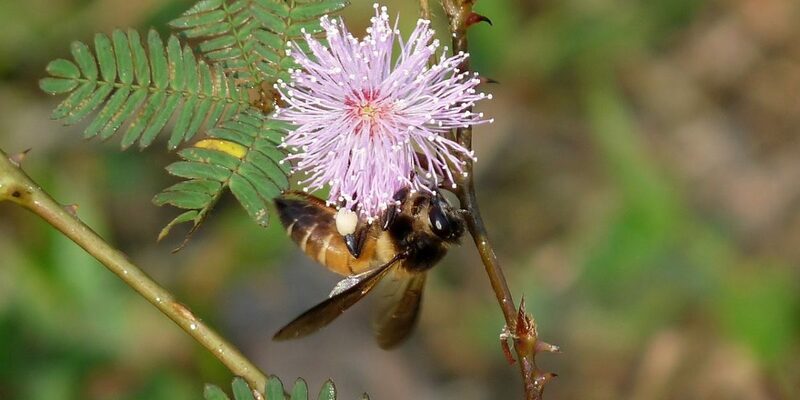 John Ascher, an expert on bee taxonomy (the science of identifying and classifying organisms) at the National University of Singapore, estimates that there are 719 species of bees in India. However, a large proportion of the described species come from historical specimens and old descriptions. There are also many regions that have not been explored for bee species richness and diversity. As a result, the number of species is likely to be an underestimation. Ascher stressed that overcoming the taxonomic impediment is the first step to conserving Indian bees. Of the 719 species of bees found in India, 300 – according to Ascher – are endemic: they are native to the country and found only here. Also read: Are Pesticides Called Neonics to Blame for the World’s Bees Crisis? The meeting invited national and international researchers working on Asian bees to discuss the state and future of bee research. Its goal was to build a network, intensify research on Asian bees and help produce a conservation strategy. Other solutions include databases like like iNaturalist, where 182 observers have reported 546 observations of 44 bee species in India, and Facebook groups like InsectIndia. Ascher has also helped build an online portal with the National Bureau of Agriculturally Important Resources to document the bees of India. In the US and Europe, most of the pollinating bees are kept and sustained by humans. However, the prime pollinator in India is the rock bee (Apis dorsata), a wild insect. To this end, Brockmann has been working with Rocio Fatas, a designer at the Srishti Institute of Art Design and Technology in the same city, to develop a smartphone app. The rock bee nests on tall trees, cliffs and high-rise buildings. A user can use the app to take a picture of a colony and record the date and location, and continue observing it once a week. The app logs and collates the data, and sends it to Brockmann’s lab. It’s expected to go live in June this year, and will either be called BeeTrack or BuzzBrigade. Quader started SeasonWatch, a citizen science project to help study seasonal changes in trees. Brockmann said the initiative could also help spread the message that bee species are useful for pollination. This in turn could help divert attention away from how rock-bee colonies built on balconies are often considered a nuisance, and towards the fact that we need them. The meeting also brought together researchers working to identify and tackle other India-specific problems. Their work will influence what strategies policymakers will craft to ensure India’s bees are safe – at least insofar as they are useful for India’s agriculture. For example, Parthiba Basu studies the effects of pesticides on the biology of honey bees at the University of Calcutta. His group collects wild bees from regions with different intensities of agricultural activity. The farmers provide information about the type, amount and frequency of pesticide application. Also read: Ten Years After the Crisis, What Is Happening to the World’s Bees? Through multiple such exercises, he found that farmers often use a cocktail of pesticides. As a result, it became difficult to control the dosage and kind of pesticides deployed, in a way that the bees could be protected. This is especially important for crops that are better pollinated by solitary bees than honey bees. “For several species of plants (even cultivated ones) we do not know which the pollinator to encourage,” said Belavadi. Good bee research is expected to help found good conservation practices. In 2017, 75 scientists from all around the world including India drafted a status assessment report on pollinators and food production. The Intergovernmental Platform on Biodiversity and Ecosystems Services had put together this scientific panel. The goal was to provide policymakers and decision-makers with relevant information for conservation and sustainable agriculture. Manal Shakeel is doing her PhD on animal behaviour at the National Centre for Biological Sciences, Bengaluru.